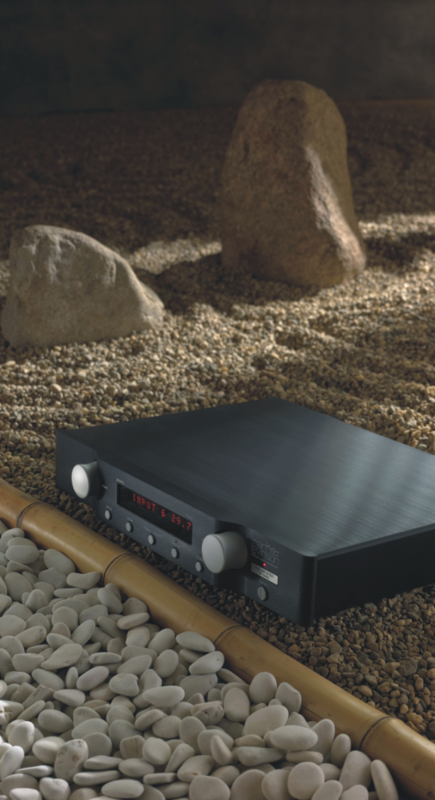 Raising the Standard for Ultrahigh-end Luxury Audio The Nº52 is unquestionably the finest Mark Levinson preamplifier ever. This dual-monaural preamplifier isolates the critical analog audio circuitry from the control section by utilizing a two-chassis approach to provide the purest signal paths possible. The Mark Levinson® № 523 preamplifier is a six-input dual-monaural preamplifier featuring Pure Path circuit design, class-A Pure Phono stage; and configurable balanced, unbalanced, and class-A Main Drive Headphone outputs. With a single-chassis design, the N°326S achieves separation of audio circuit, control circuit, and power supply sections similar to that of the dual-chassis N°32. The internal structure of the N°326S separates these sections, while a steel shield box protects the power supply and other circuits against electrostatic and magnetic interference. Filtered AC power is routed outside audio circuit sections, providing audio circuits with the quiet, shielded environment essential for superior sound.